Hope you are all doing really well? I must admit I haven't been this thankful for a weekend in a long time. It was mine and Daniel's 7 year anniversary yesterday and we had such a lovely day. We celebrated in the evening and just generally had a fantastic time. 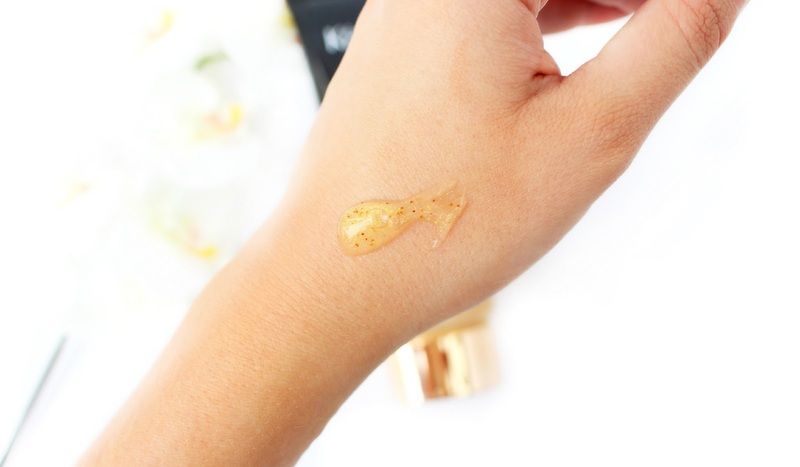 Today's post is going to be about a new and pretty unique product which I have been loving. I mentioned this product in a recent #bbloggers chat and had loads of questions, so I couldn't wait to get it on the blog. 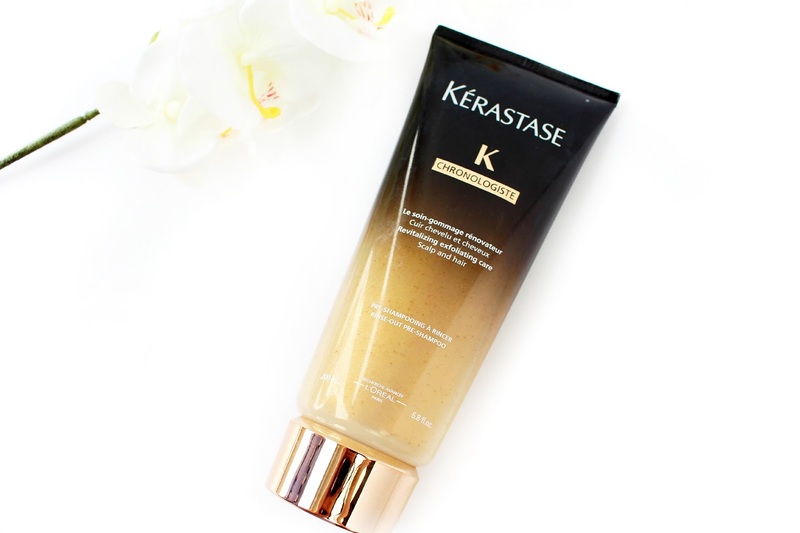 I've also teamed up with my favourite hair salon Rhys Giles to giveaway the Kerastase Hair Exfoliator to one of my lucky readers! I hope you enjoy this post lovelies and I would love to hear from you in the comments section below. You can also contact me via my social media icons to the right hand side if you would like to get in touch a little quicker. When I visit my favourite Hair Salon Rhys Giles I always look forward to having a luxury hair treatment, which well and truly leaves my hair feeling like a million dollars and not just for the day after either. When I heard that Kerastase were bringing this beautiful treatment out in a full haircare regime I was super happy. The Kerastase Chronologiste Ritual is being crowned as the finest hair ritual to ever be created by Kerastase. During my last trip to Rhys Giles I treated myself to the full collection, which I will be posting about very soon. However, I felt this specific product really needed a review of it's own, as it's a pretty unique concept. A hair exfoliator. Now I've always suffered with greasy roots and dry ends, so when I heard my stylist mention a hair exfoliator I was kind of excited but confused at the same time. The Kerastase Chronologiste Revitalising Exfoliating Care is described as a preparatory exfoliator, which is designed for all hair and scalp types. It has the most beautiful golden, luminescent texture which looks phenomenal. I know it's texture isn't the bee and end all, but I'm sure a few of you will agree that it does look so pretty both in and out of it's tube. The most important thing of course is does it deliver.... and for me the answer is a HUGE YES. The exfoliator is extremely rich in micro-particles which work to cleanse and purify the scalp and hair fibre. It is also inspired by skincare, which you can probably tell! The whole idea of this product is to prepare the hair for shampooing, but also to leave your hair looking radiant, revitalised and nourished. You may be thinking is this product a little pointless, but the most effective way to get truly clean hair is by washing your hair twice. The first wash tends to remove any surface product or oil and the second wash is the wash that cleanses the hair and leaves you will a super squeaky clean scalp. To use this product I apply a small amount in the palm of my hands and let it emulsify slightly with some water. I then apply on damp hair, whilst massaging the formula all around my scalp right through to my hair ends. After a good old massage I wash it off and move onto my shampoo and conditioner, which are also both from the Chronologiste range. The exfoliator washes out effortlessly without leaving any particles on residue behind, which is another huge bonus. I'm sure you've heard me talk bout my amazing stylist and friend Nathan and we joked about this product being the 'Chanel' of haircare! Not only is it super luxe, but there has to be a mention for the exquisite gold and black packaging that screams Chanel GHW! Overall, I'm so pleased I took the plunge and purchased this product. 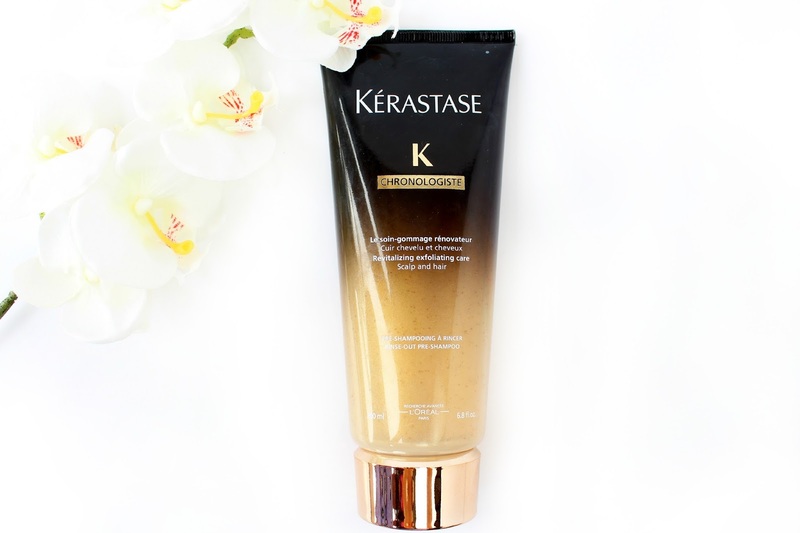 My hair is in it's best condition ever and I feel like the Kerastase Chronologiste Revitalising Exfoliating Care has really helped to revitalise my scalp. I've also noticed that my hair hasn't been getting half as greasy when using this product! It retails for around £28.50 which is quite a splurge, but I feel it will definitely be worth it for those of you who suffer with greasy hair or feel like your hair needs a revitalising boost! I hope you've enjoyed this post lovelies and good luck with the giveaway! I would love to hear your thoughts in the comments section below. Do you think this product sounds interesting? Urgh, my poor hair is in such a state it could do with something like this!! looks great, would love to try it! I love Kerastase products, thanks for the chance to win! Thanks for such a great competition. never tried this brands products! I would love to win this amazing giveaway! This product sounds really intruiging - never thought of exfoliating my hair, but makes sense! My hair is most definitely in need of some extreme TLC and having read your review, I think this is the product to do it! Thank you so much for the opportunity to win!